Lantern Bug: New start brings good luck...! 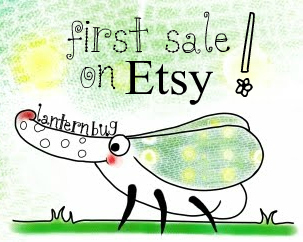 Hi everybody, here's your resurrected Lantern Bug, proud to announce you all my first sale on Etsy! A lucky etsyan has grabbed the original and very lanternbug-ian leaf-shaped ipod case, who'll be the next? Have you spot the freshly coloured Flora and the softy&warm Golden Fall shoulderbags? Take a look to the listing on my Etsy shop and stay tuned, June brings summer..and a lot of novelty from your favorite crafty Bug!